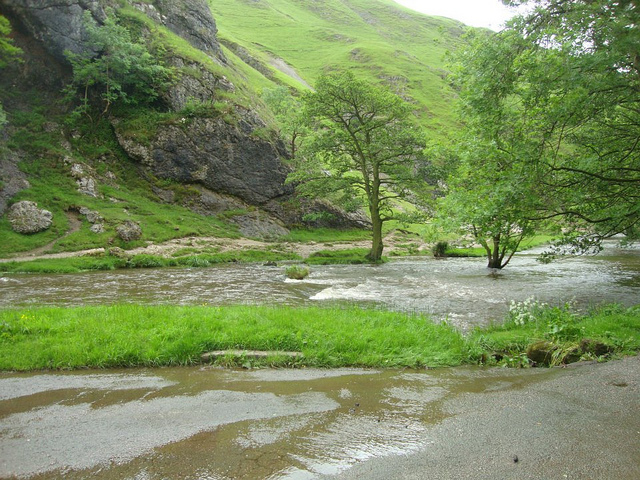 From Canoeing and cycling to 24 hour coastal walks and mountain climbs, we’ve undertook a variety of different challenges, having a fantastic time, taking in some stunning scenery and making lifelong friends along the way. Walked 40 miles through the night from Cosgate to Croyde on the beautiful south coast. 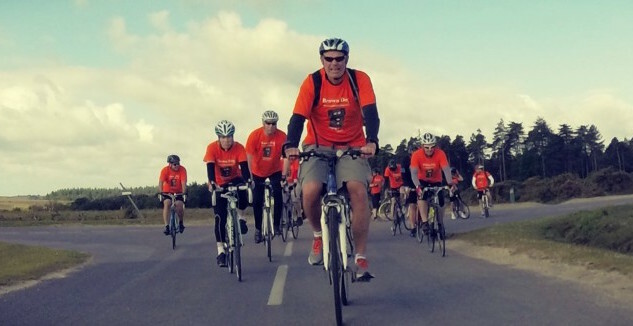 Cycled 100 miles in the New Forest down in Bournemouth raising over £17,000. 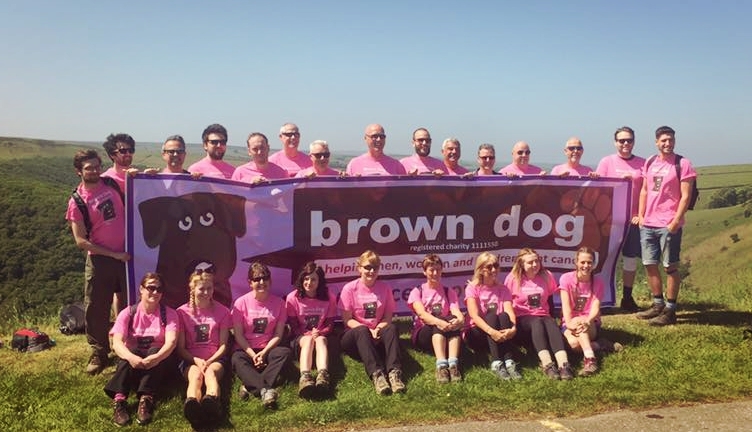 The brown dog team walked 40 miles along the rugged coastal path of Lands End walking from Newlyn to St Ives in 24 hours raising just over £25,000. 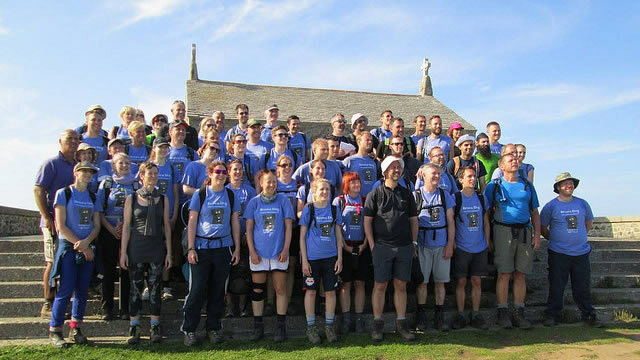 The brown dog team successfully took 68 challengers up and down the two biggest mountains in Wales in less than 12 hours raising £26,000 along the way. 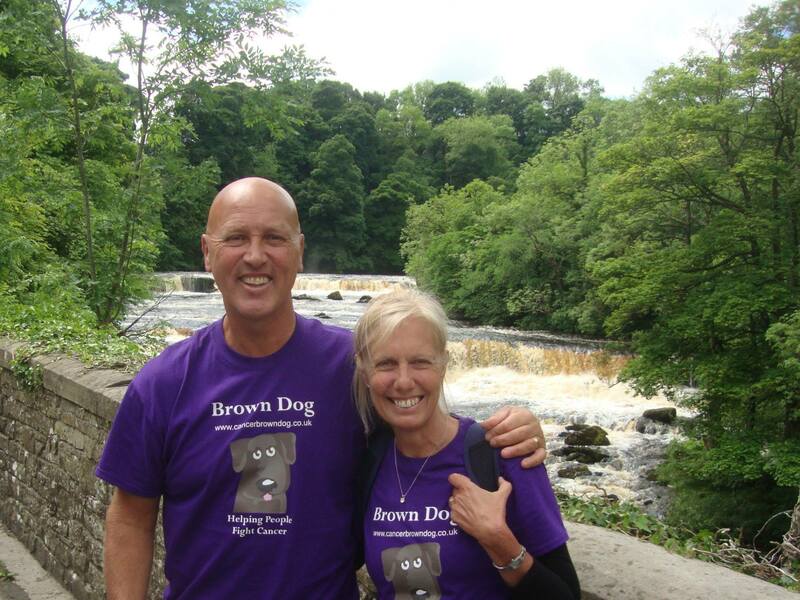 The brown dog team cycled 34 miles from Ashford to Bamford and then walked 10 miles from Bamford to Edale raising £30,000 along the way. 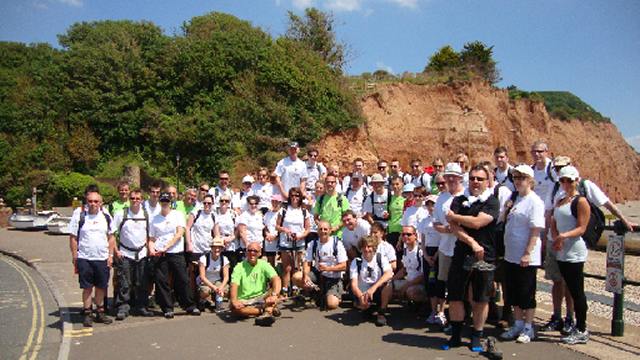 The team walked 50 miles from Sidmouth to Weymouth through the night in under 24 hours raising a whopping £64,000. 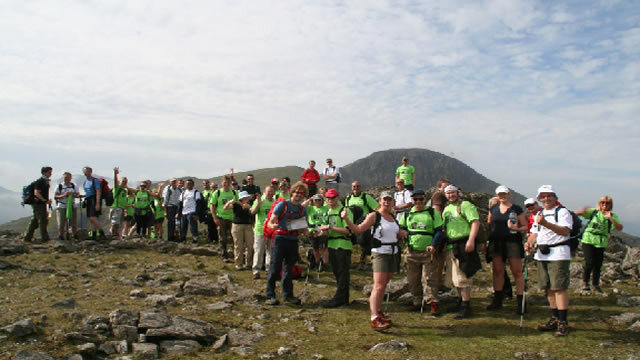 The team ventured to the Lake District climbing 8 mountains in 14 hours raising a huge £64,000 along the way. 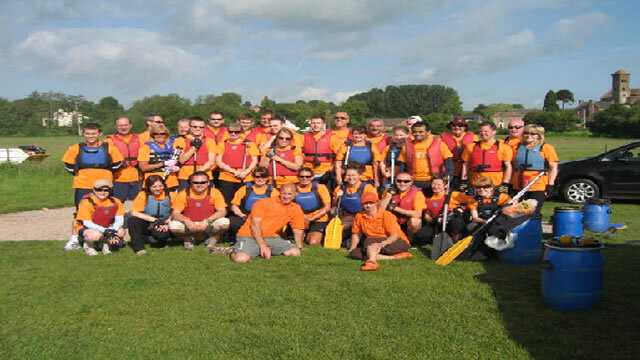 The team went to Ross-On-Wye and canoed 24 miles in 7 hours raising £15,000 along the way. 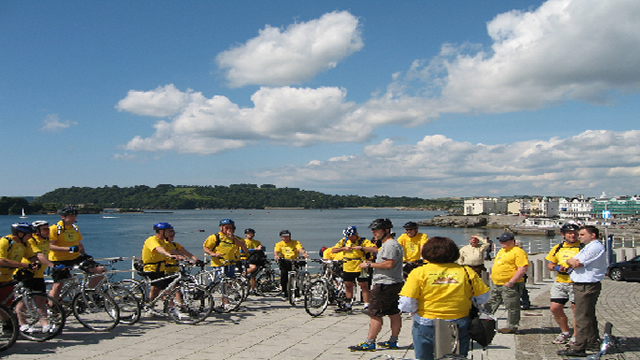 45 miles in two days from Newlyn to St. Ives. 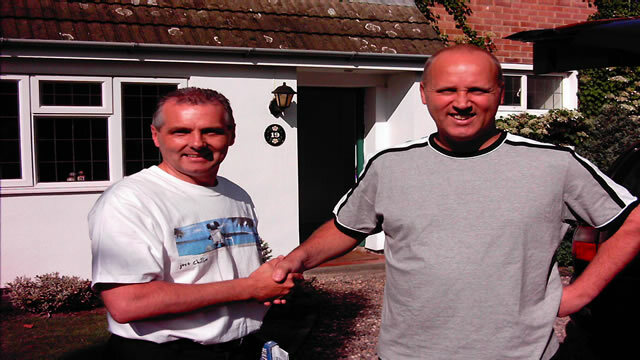 For the 2007 Mountain Challenge, the team cycled 105 miles coast to coast from Plymouth to Woolacombe raising £25,000 along the way. 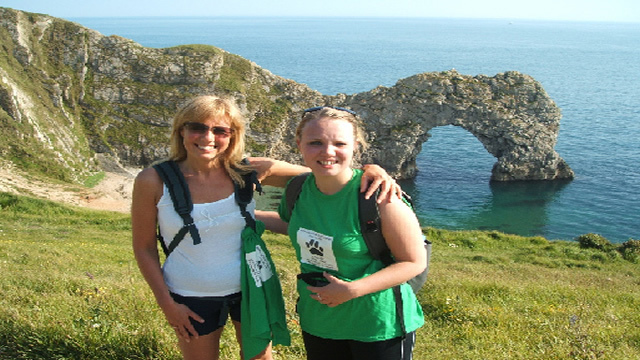 The team walked 40 miles in 24 hours through the night from Weymouth to Poole raising £35,000. 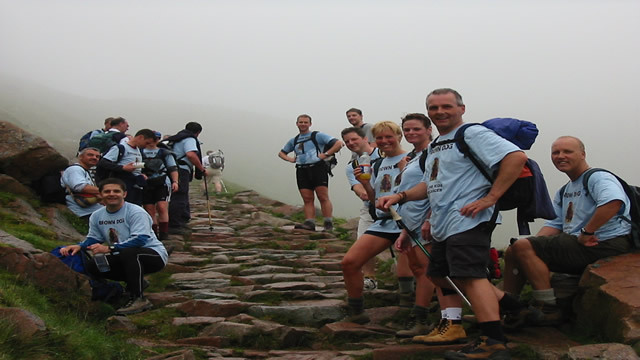 The team took on the UK's biggest mountain, Ben Nevis cycling 70 miles before reaching the summit raising £17,000. 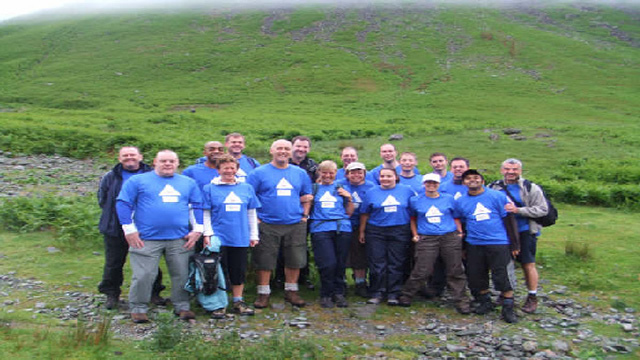 The team cycled 30 miles and climbed Mount Skiddaw in the Lake District raising £33,000. 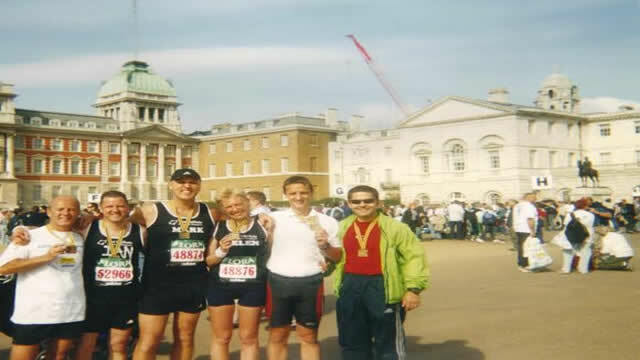 Mark and Helen took on the monstrous London Marathon running 26.3 miles raising £12,000. 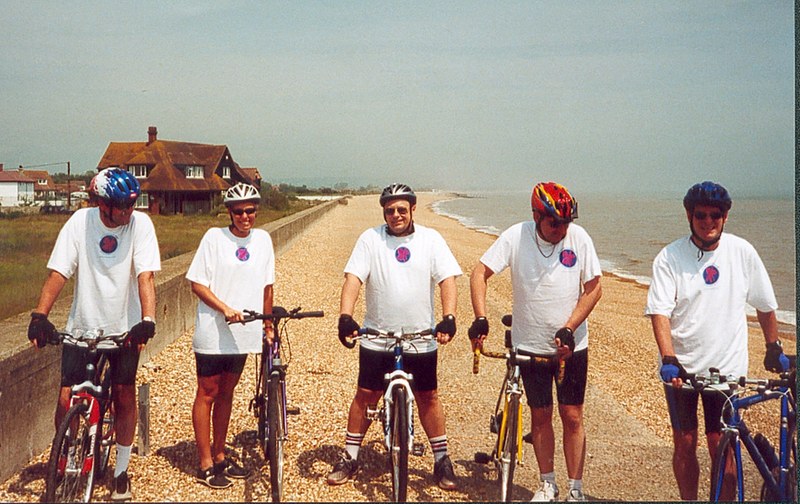 The team cycled between 3 countries, England France and Belgium cycling 125 miles in 2 days raising £25,000. 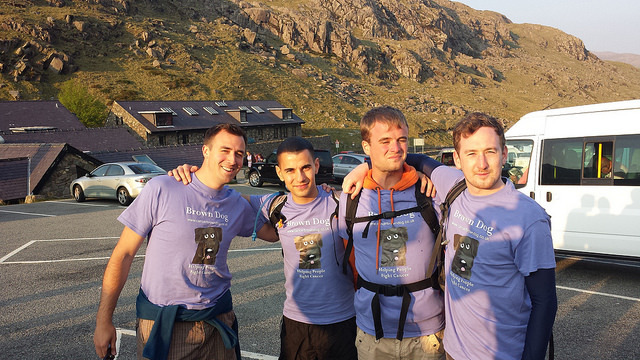 The first ever brown dog challenge saw the team climb 8 mountains in 14 hours in the Lake District raising £23,000. 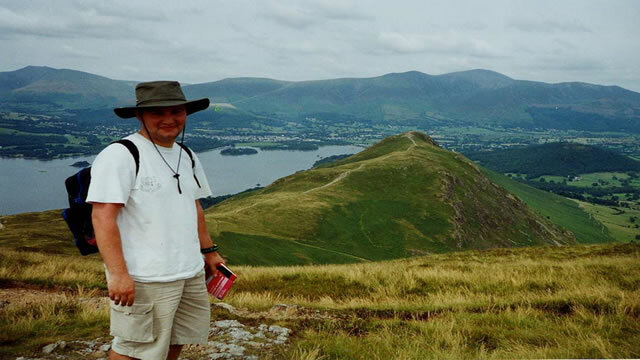 The BT Tower is of the most sought-after destinations in the UK. As part of BT’s commitment to help generate £1bn for good causes by 2020, the BT Tower Dining Club is a unique opportunity for charities to access this exclusive venue. Dine at the top table At each Dining Club event, BT host a number of great causes and help them raise money. 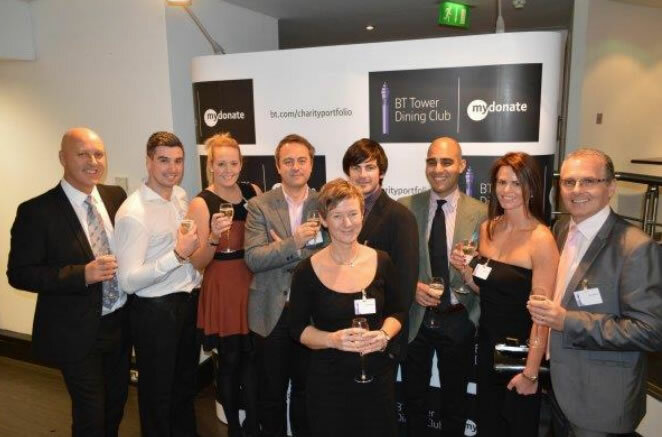 Charities can apply for a table on the 34th floor of the BT Tower, and if granted, this exclusive dining experience for 2-10 people can be auctioned off to raise money, used to drive awareness of a good cause or awarded as a token of gratitude to supporters of the charity. 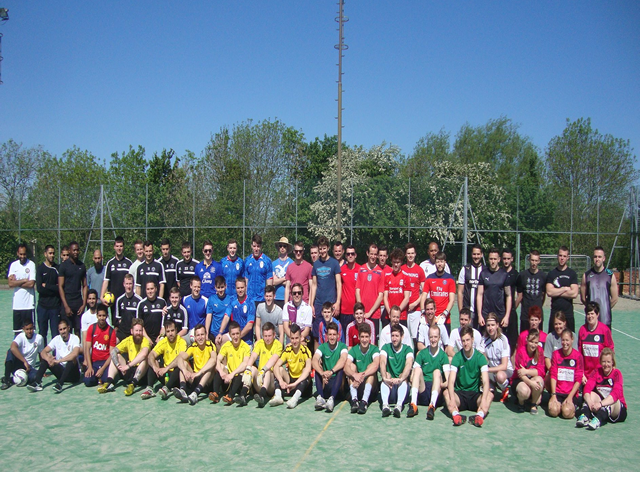 Thanks to Isaac Storer, Brown Dog hosted another successful annual football tournament raising around £500 towards to the charity. 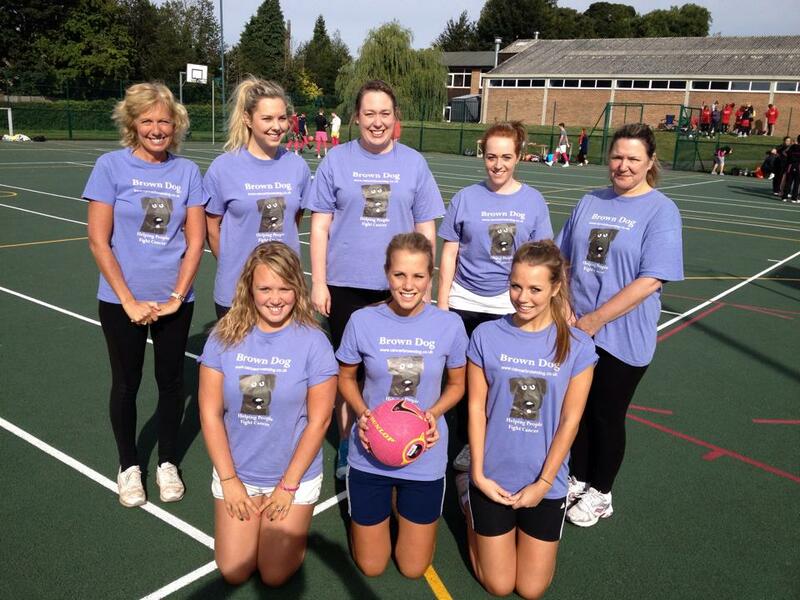 Martha Storer hosted a very successful netball tournament raising over £700!